Nice to meet you, Robin. I'm the professor. He made us in his laboratory by accident. It's okay, Professor, I was an accident, too. Nice to meet you, Robin. I'm the professor. He made us in his laboratory by accident. 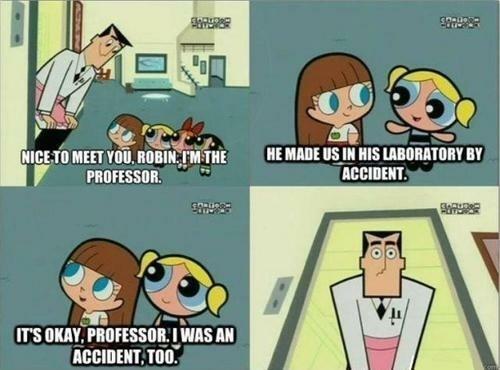 It's okay, Professor, I was an accident, too.